South Indian food is popular around the world for its rich flavour. The tantalizing aroma of South India’s home grown spices excites every foodie. Chennai, the capital city of Tamilnadu and the cultural centre of South India is also the cradle of South Indian Cuisine. However, it is not in the star hotels or resorts that you get to taste the authentic South Indian dishes. Get to the lively streets of Chennai and try your hands on its famous street food. 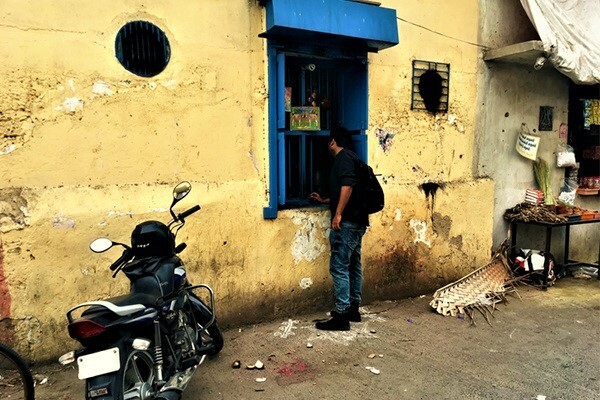 One such street is Mylapore, the Peacock Town. It is considered as a food heaven by the people in Chennai. Any day you would see thousands of people standing in front of various local food joints having their favourite meal or snack. 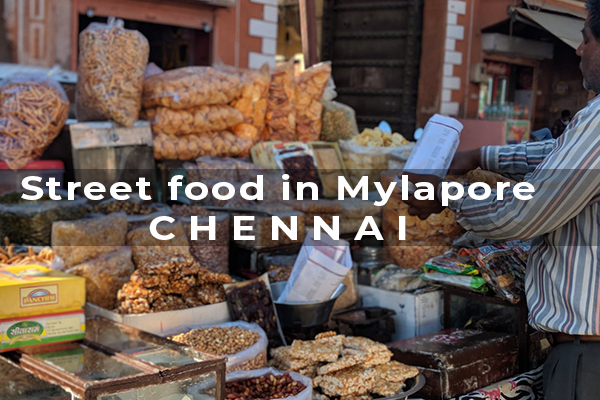 Be a local and stroll through Mylapore where you will find numerous authentic food joints that serve the South Indian food as it is and at its best. To make it easy for you, our foodie travel nerds have visited the vibrant streets of Mylapore just to find you a perfect mix of South Indian delicacies. They tried all the restaurants, small tea shops, messes and sweet shops themselves and came up with a list of few classic South Indian food joints and snack corners which offer some of the best South Indian delicacies to your plate. So read on and check out our list of the Best places to eat street food in South India. We start off with the locally famous Rayar Mess. A small mess which has a history of over 80 years. They have just 16 seats laid out and anytime you visit, you would find it full. Kumar Anna, the owner come chef never allows anybody else to lay their hands on cooking. He is one man army here and to keep all his flavours intact, he cooks everything by himself. Bondas and Jangiris are the specialities here. For serving there are 5 to 6 people employed who bring the hot food straight from the Kadai to your plates. You would see Doctors and lawyers stand in line patiently waiting for Kumar Anna’s special Aloo Bondas and Jangiris. Many of his loyal customers asked him to move to a bigger building and make it a restaurant serving all kinds of dishes, but he is not interested. He believes the sole reason behind their success is this tiny room which still attracts 100s of visitors a day even after decades. So the Rayar Mess is our first pick for you in Mylapore. Yes, this is literally a Window shop. No chairs, no tables but at 5:30 pm every day you would find a near 50 meter line waiting for the hot Chilly Bhajjis in front of this window. The owner sits at the Cash counter near to the window. He serves the Bhajjis one by one and collect the cash into his table drawer. At times he acts like a robot due to the long line of Bhajji cravers as he keeps on handing the bhajjis non-stop. People say the taste of Bhajjis here are like none other. The colour, the texture, the flavour and the best part is the Chutney which comes along with the Bhajjis. So YES, the Window shop is definitely in our list. Don’t miss out their red hot Chilly Bhajji. 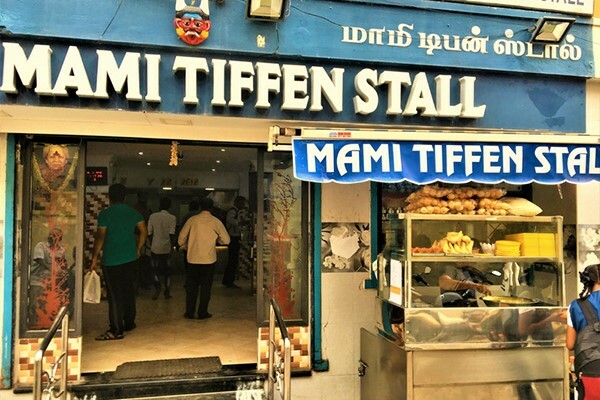 What started as a small “Idly Shop” by Ms. Vasantha decades ago is now the famous Mami Tiffin Stall. 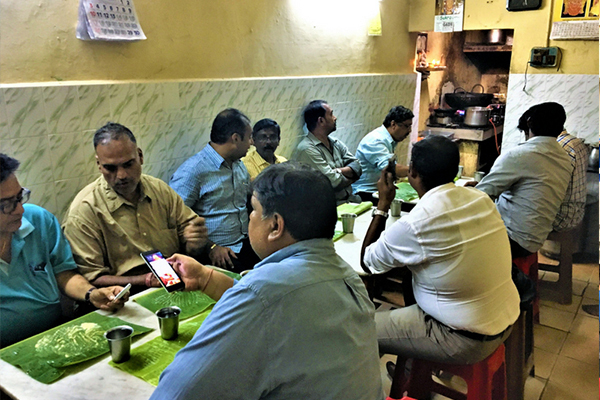 It all started when Ms Vasantha from Tanjore came to Chennai and started a small Idly shop for breakfast, Soon her loyal customers asked her to include lunch and dinner as well. People with love for her started calling her Mami and the stall became the Mami Tiffin Stall now. The stall is always crowded with food lovers. Rava Kesari and Kozhukattai here are hits among the locals. For a belly full meal or a tea time snack, hit the Mami Tiffin Stall and you would be left licking your fingers off. 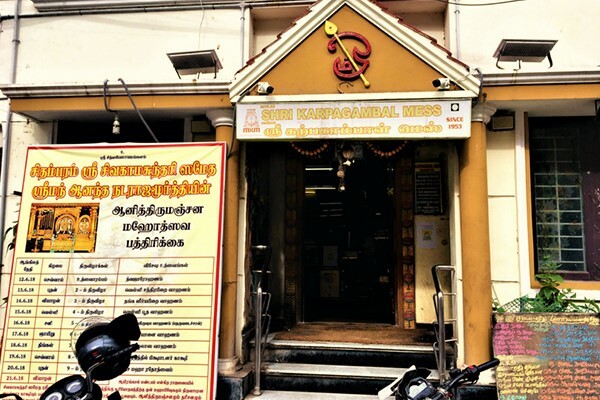 Since 1953 the Karpagambal Mess has been a go-to spot for the locals for some delicious South Indian meals. The list includes some of the popular South Indian celebrities as well. They serve an array of delicious South Indian food and are famous for their deliberate use of Ghee in all the dishes. Their Mylai Ney Podi Masala Dosai, Keera Vadai, Vazhai Poo Vadai and Adai Avial are the hits among their loyal customers. Food here does not come cheap, however, you won’t mind spending extra bucks once you taste some of the specials here. Satisfaction is guaranteed. Rose Milk is nothing special, we all have had it somewhere sometime, but this Rose Milk at this particular shop has earned itself a reputation among the locals for its unique taste. 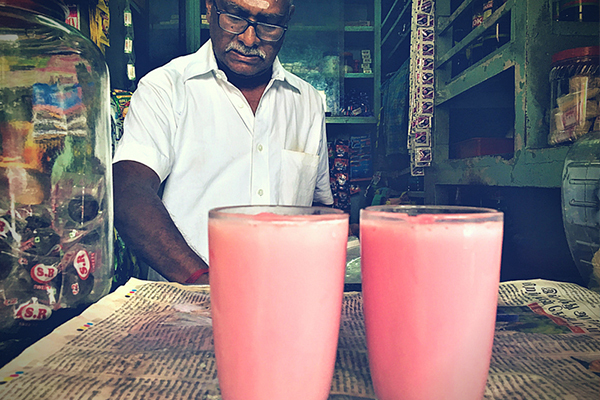 For decades locals flock here at the Kalathi Rose Milk shop every day for a refreshing drink and this rose milk serves their purpose. On a hot summer day, this Rose Milk is an ultimate treat for the Chennai people. So if you ever happened to wander at Mylapore, look for the Kalathil Rose Milk Shop and I am sure just one sip would make you fall for it. 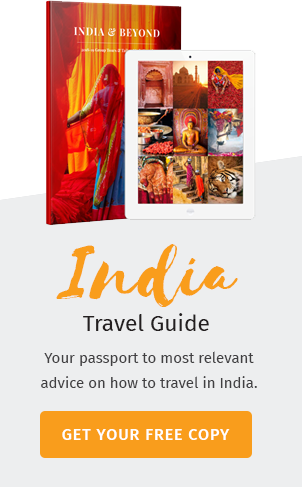 Keep note of it for your next trip to South India.